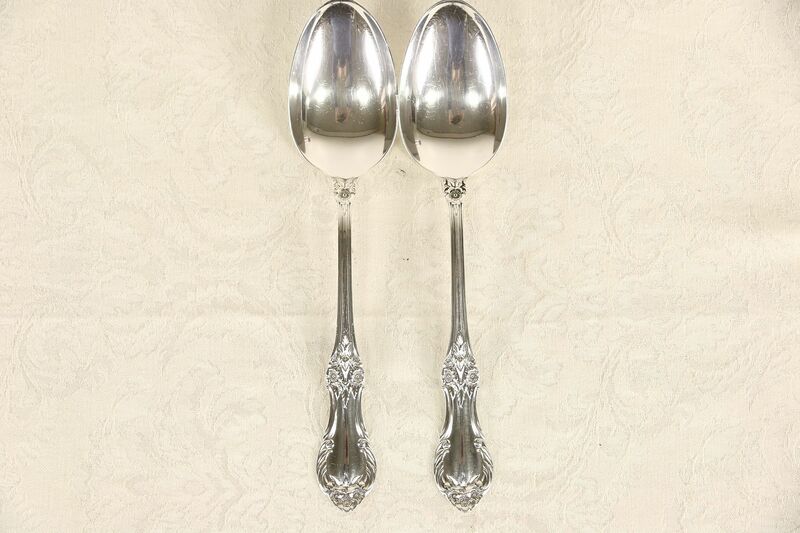 A pair of sterling silver serving spoons are in the lovely "Wild Rose" pattern signed "International" silversmiths. In excellent condition with very little wear, these vintage serving pieces are about 50 years old and just under 8 1/2" long. See 8 photos on Harp Gallery website that enlarge to full screen size. USPS Shipping is $10.00 in the US.